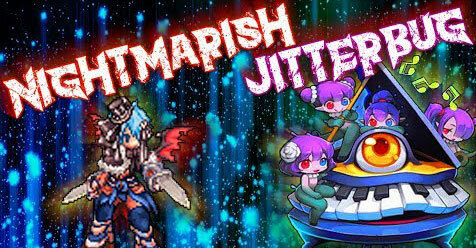 ENG: We are happy to announce that we have implemented and activated the new instance "Nightmarish Jitterbug" in the test server with 100% drop and rates at 1000x, this to make the test phase as fast as possible. The entry to this new instance is from the NPC "Roel" located in the Eden Group Headquarters. We await your reports in our support forum for any bugs and discussions and then follow the implementation on the main server in the coming days. ITA: Siamo felici di annunciarvi che abbiamo implementato ed attivato la nuova instance "Nightmarish Jitterbug" nel test server con drop al 100% e rates a 1000x, questo per rendere la fase di test più veloce possibile. L'ingresso a questa nuova instance è dall'NPC "Roel" che si trova nell'Eden Group Headquarters. Attendiamo vostre segnalazioni nel nostro forum di supporto per eventuali bug e discussioni e poi seguirà nei prossimi giorni l'implementazione sul server principale.